Valencia, Spain. Valencia is an incredibly beautiful coastal city. It is the home of world-famous paella (traditional, Valenciana paella is made with rice, beans, rabbit, and snail) and beautiful orange trees (most of the oranges are either used for zumo de naranja or famous cocktail Agua de Valencia). We had the opportunity to go on a relaxing boat tour of a lake where rice for paella is produced. Finally, I am so thankful to the Fulbright for selecting this incredible city as the setting for our Mid-Year conference! Barcelona, Cataluña, Spain. This was my first time ever visiting Barcelona! 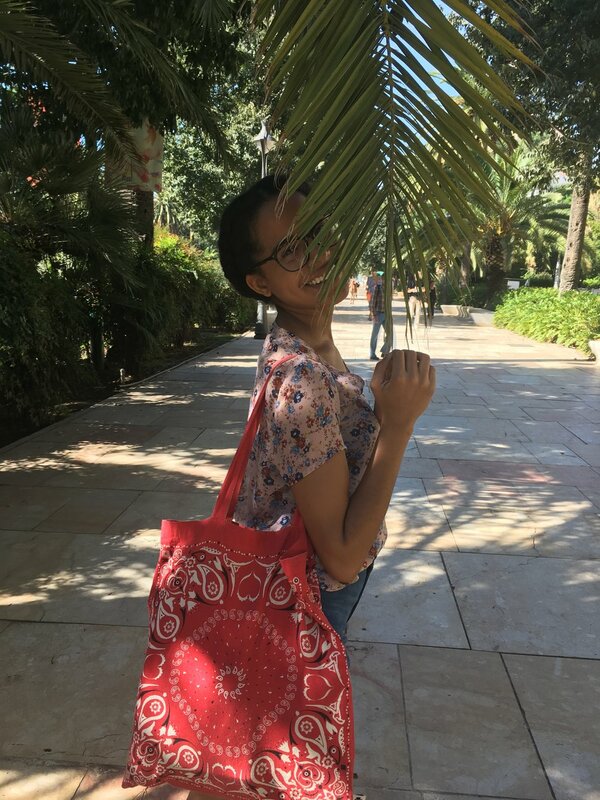 *cue the Cheetah Girls 2 song “Strut”* My friends and I danced through the town, visiting so many iconic sites like the elaborate fountain of Ciutadella Park (picture 2), and the elaborate and GAUDÍ (get it, gaudy… Gaudí, the architect??.. heh) Sagrada Familia and Park Güell. Barcelona was a dream and now that I have a friend who lives there, I will be sure to come back and visit! Rome, Italy. Before I describe the photos, I want to share how incredible Rome was. There was so much ancient history and delicious food, so it was a very fun and educational trip! The second photo is the facade of the Pantheon, a former Roman temple finished in around 126 AD. I also threw a coin into the Trevi fountain (made famous to me by the Lizzie McGuire movie) and made a wish. I also visited the Vatican city and saw, St. Peter’s Basilica and the Vatican museum. The basilica was ENORMOUS, I did not want to post a picture of the interior because it would not do it justice. Within the cathedral, I saw the original Pietà by Michelangelo! Dublin, Ireland. I had the opportunity to visit the famous, Temple bar! It was almost like a maze with all of it’s different alcoves for sitting, eating, and smoking. We also visited the courtyard of St. Patrick’s Cathedral. The Guinness factory was a special treat, we learned how to pour a “perfect pint” and had delicious Irish stew! The view in the fourth photo is from the Sky Bar located at the top of the Guinness museum. The final photo was taken in the center of the campus of Trinity College. Malta. One of the most charming aspects of my trip to Malta was the cliffs and gorgeous sunsets. In the first photo, we were walking through the weekly farmers market in Sliema, that sat beside these colorful fishing boats. We also had the opportunity to be paddled across an inlet to reach the “three cities” situated across from Valetta (photos 3 and 4). The second photo, was taken by the cliffs near the ruins of Ħaġar Qim, a temple dating back to 3200BC! The final photo is the Triton Fountain found right outside of the Valetta city gates. Frankfurt & Heidelberg, Germany. The first photo, of a building displaying the flags of both Germany and Frankfurt, was taken in the “Old Town” plaza of Frankfurt. 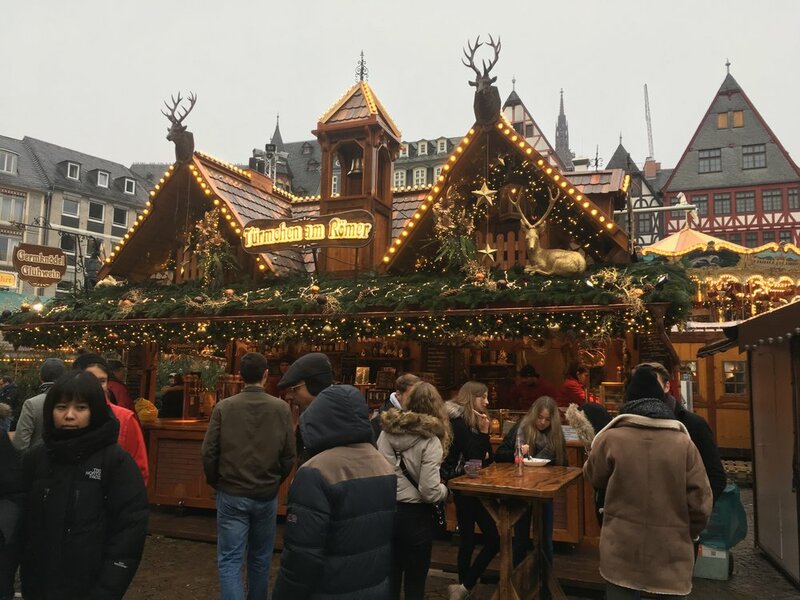 This is the same plaza that held a section of Frankfurt’s traditional Christmas Market! It was impossible to walk through the market without a huge smile on your face! Everyone was admiring the hand-made ornaments, eating various German pastries (I ate almost one of everything), and drinking hot beverages from colorful mugs. It was magical! 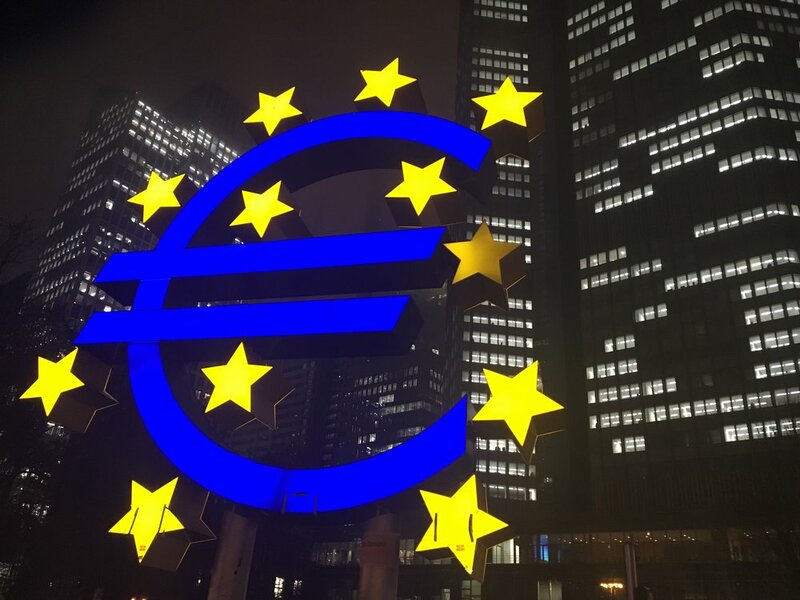 Frankfurt is also the financial capital of Europe, hosting the headquarters of the European Central Bank (hence the giant Euro symbol)! The following three photos were taken in Heidelberg, a small town about and hour train ride outside of Frankfurt. There I found another, slightly smaller, Christmas Market! On my final evening in Germany, I went to the roof of a 57-story building that overlooked the city of Frankfurt. Despite the high winds and freezing rain, the views were breathtaking! 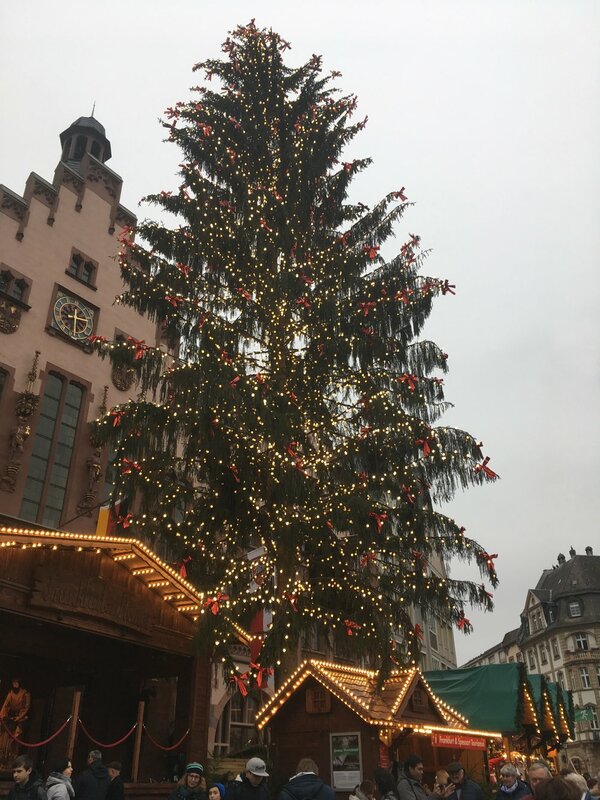 Merry Christmas and Happy Holidays from Frankfurt! 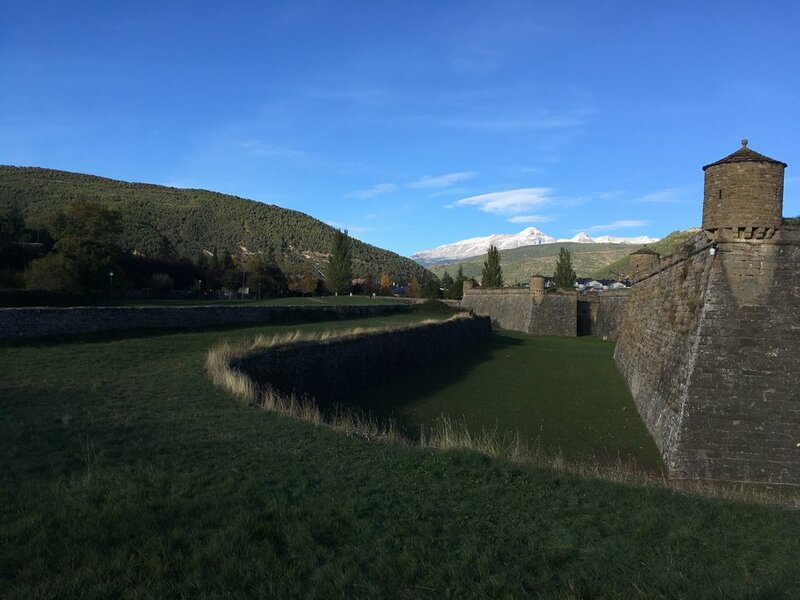 Jaca, Aragón, Spain (3/11 - 4/11). The first photo is of the main street of Jaca, Calle Mayor. The following few photos are pictures of the hike up the mountain and, finally, the summit! The 7th photo is of the sunset from the mountains. 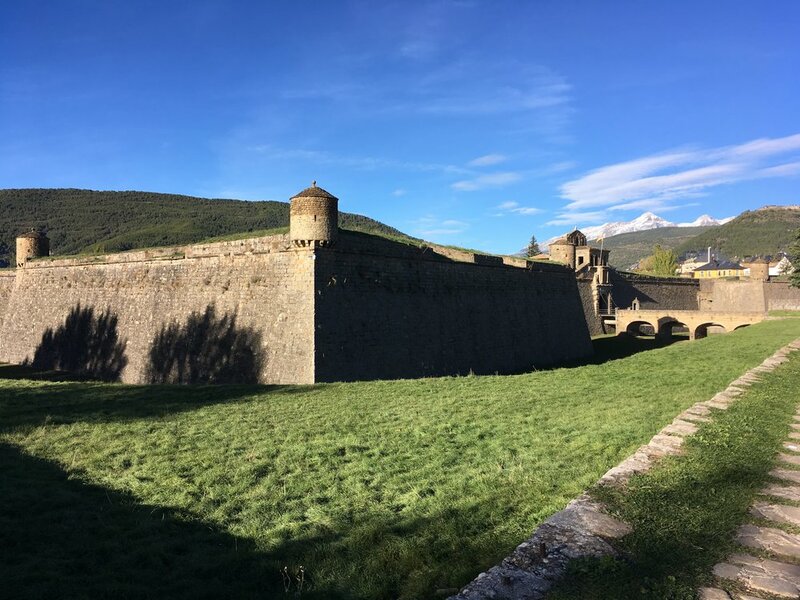 There are many photos of the citadel “Ciudadela de Jaca” from both the outside and inside. The deer that graze in the old moat are fed by army rangers in the area! Finally, I have a photo taken from a bridge built in the 15th century (I forgot take a photo of the bridge). San Sebastián, Spain (18/10 - 21/10). 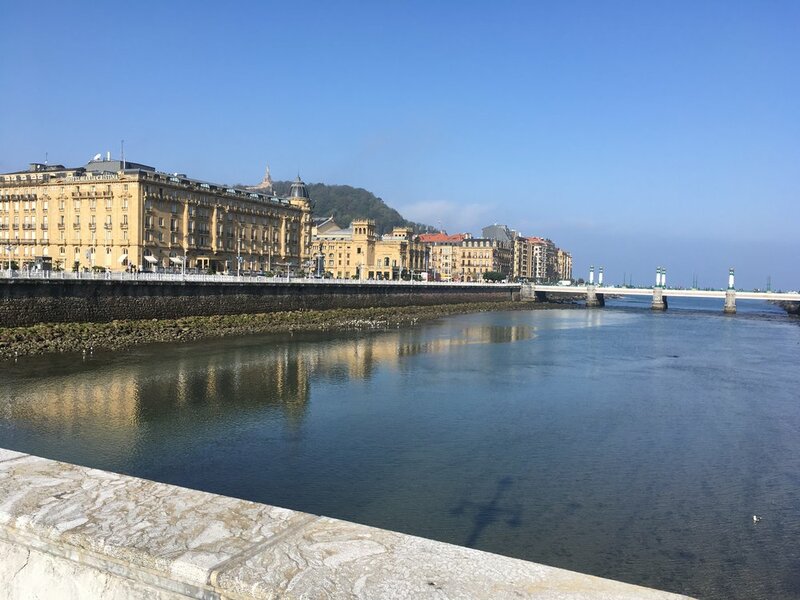 I visited San Sebastián for the BCBL conference. After the sessions I had many opportunities to explore the beautiful town! 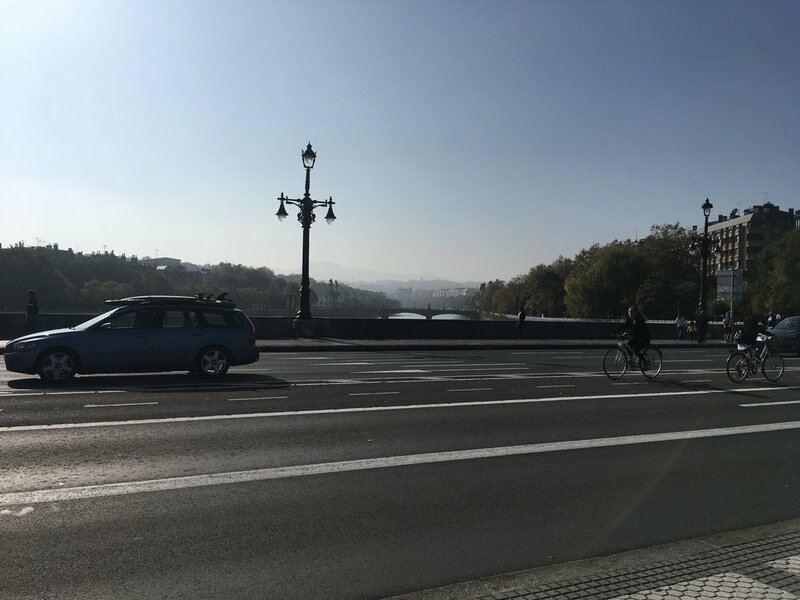 The first two photos are a morning view from one of bridges that cross the river Urumea Itsasadarra (it is an Euskera name, which is the language of the Basque Country of Spain). This river empties directly into the Golfo de Vizcaya. The third photo was taken during my afternoon café on the terraza of my hostel (it was a very positive first hostel experience)! The next two are pictures of a small park by the beach and the shore line itself. The second to last photo is of a few pinchos, the basque version of tapas, made from very high-quality ingredients! The final picture was a “surprise” following the final session, which was held in an Aquarium. After the final panel discussion the curtain was lifted to reveal this beautiful aquarium! A collection of photos captured during my visit to Málaga (10/18)! The first is a picture of the dried river that surrounds the city center. The next photo shows one of the many beautiful plazas of the city center. 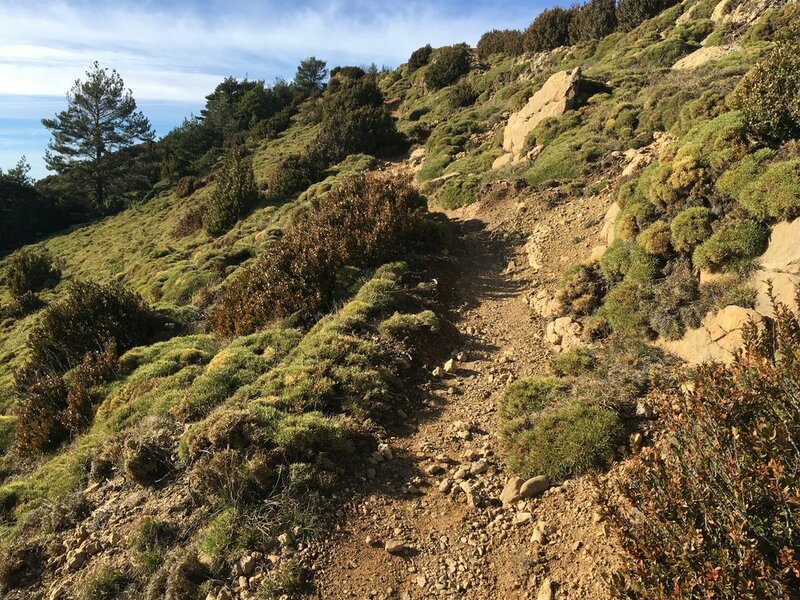 The next two are photos of the camino towards the coast. After the beach photos, there are photos taken from the Alcabaza de Málaga, a castle constructed in the early 11th century by a Muslim dynasty! The 2018-2019 Fulbright Spain cohort. Inside one of the buildings of the Universidad de Alcalá, a university in Alcalá de Henares that hosted our Fulbright Orientation. The university was founded in 1499! Most of the buildings we sat in were centuries older than the United States. A small bridge located in Parque del Retiro, one of the many large parks in Madrid. Street in Malasaña, in front of La Pasa Gin Bar! Pop-up flower shops in Plaza Tirso de Molina. This small plaza is just a few steps from my apartment: complete with a metro stop, a few restaurants, supermarkets, and these flower shops! Shady area in El Retiro park where we set up our group picnic!